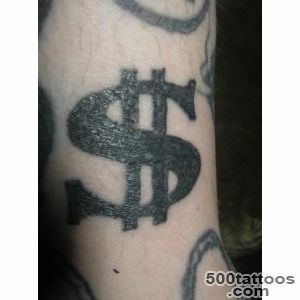 Depending on the style of the image of the denomination dollar can mean a desire to become successful and rich and ironic attitude towards money in general. 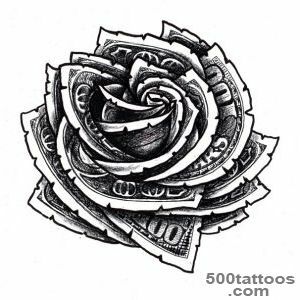 The desire to become rich and maturing have virtually everyone, as well as the dream of earning in dollars. 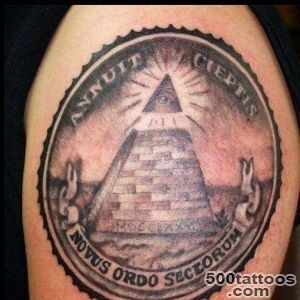 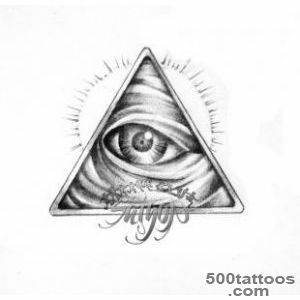 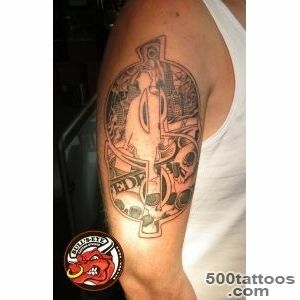 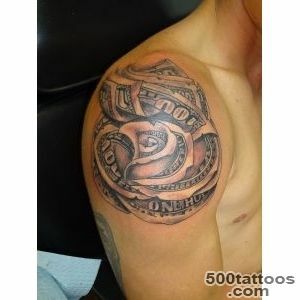 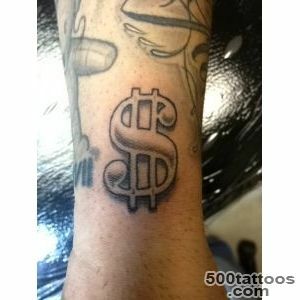 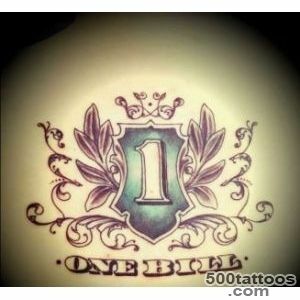 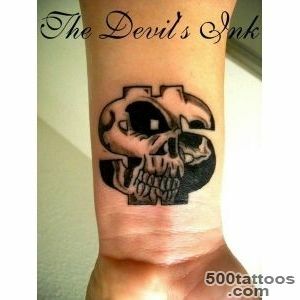 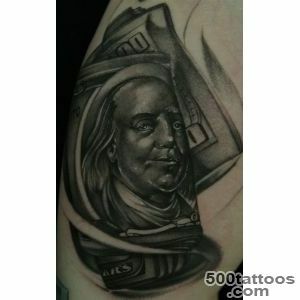 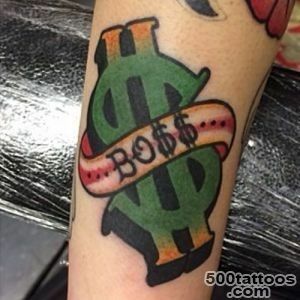 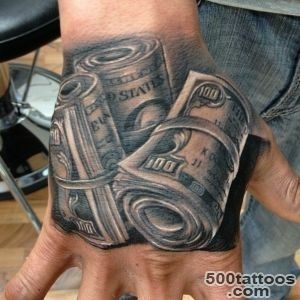 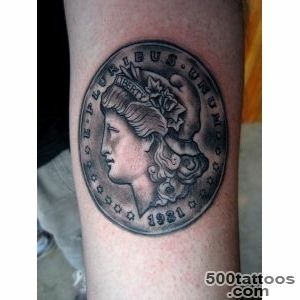 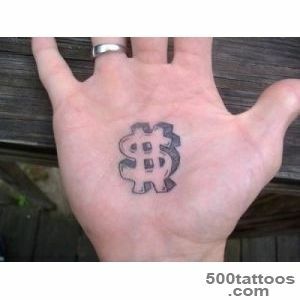 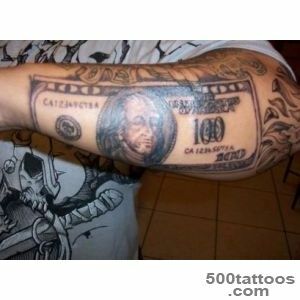 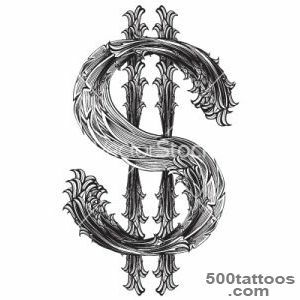 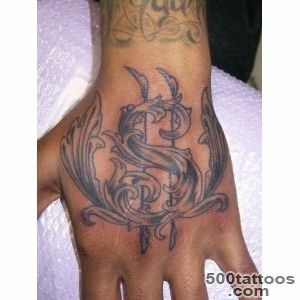 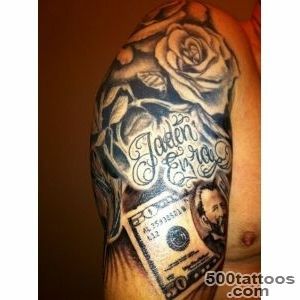 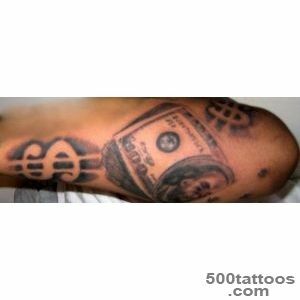 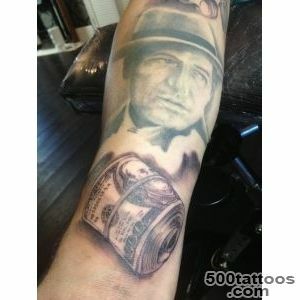 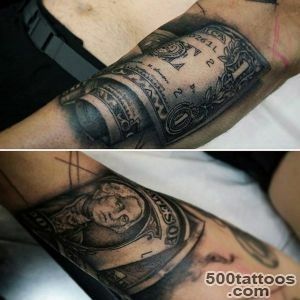 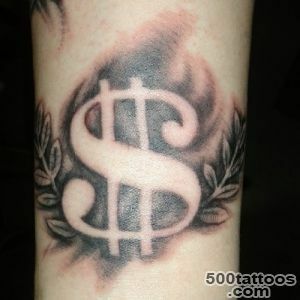 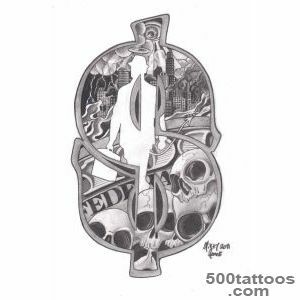 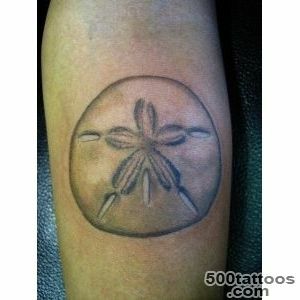 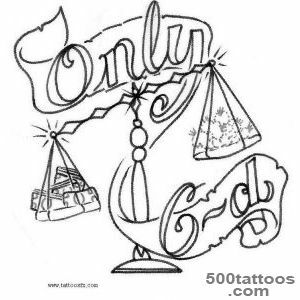 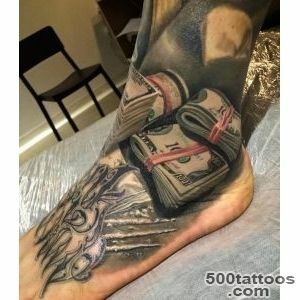 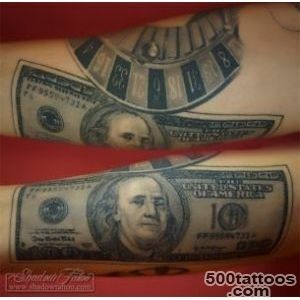 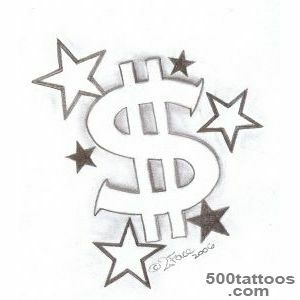 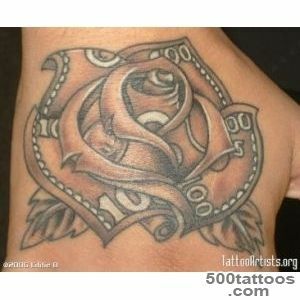 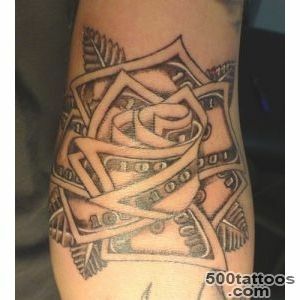 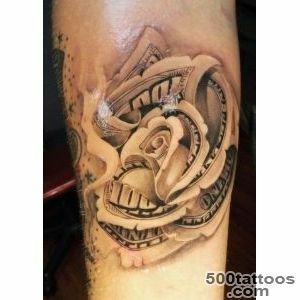 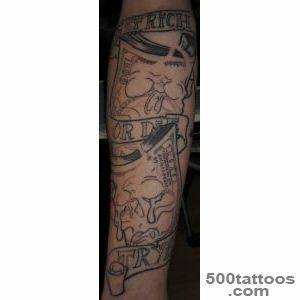 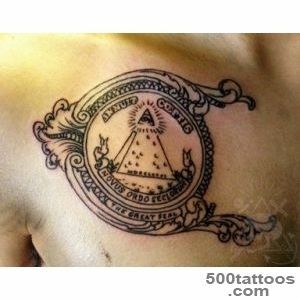 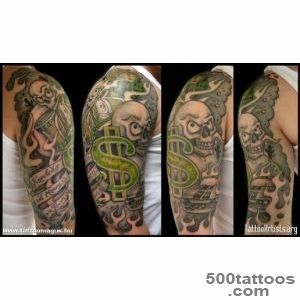 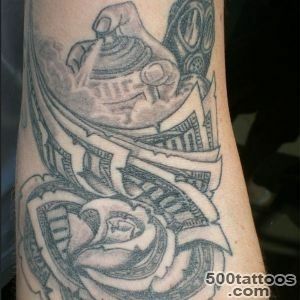 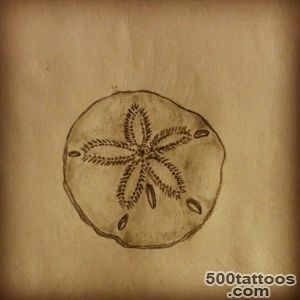 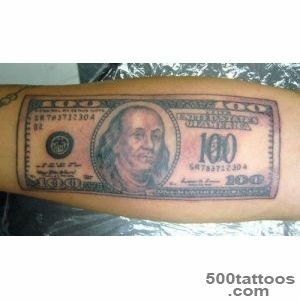 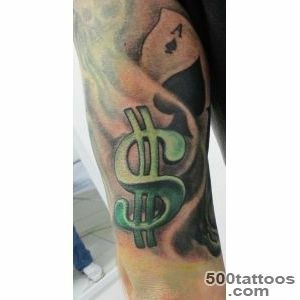 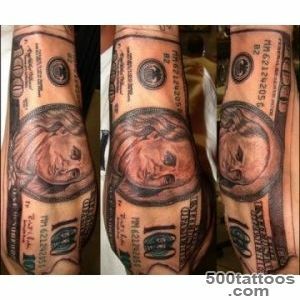 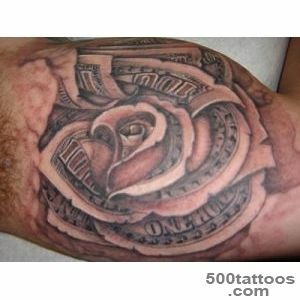 The dollar made ​​on an arm or another most prominent place,each time will give impetus to the development of themselves and promote their goals. 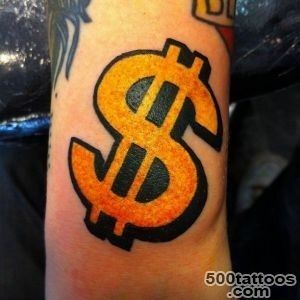 Ironic attitude to money in this case, indicates that the carrier is committed to the idea that happiness is not in money. 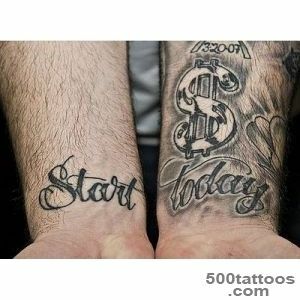 That is indeed the case, if you do not look at life more critical.